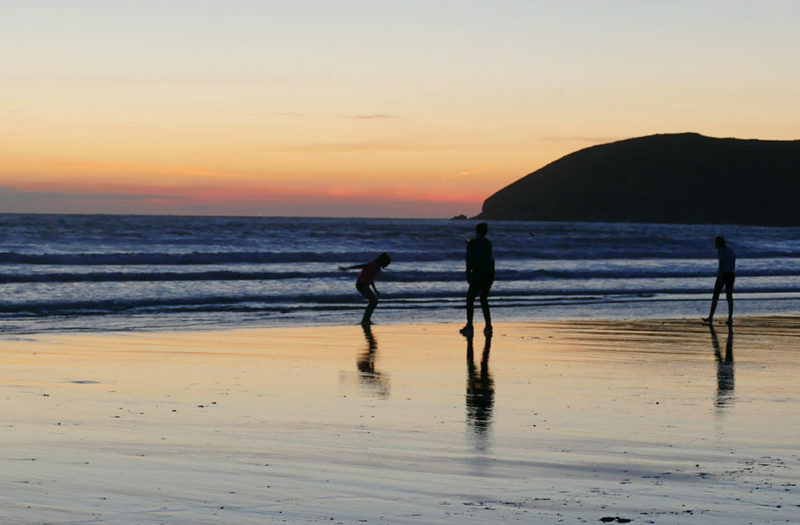 At this time of year we’re reminded of what a beautiful place Croyde is. The weather can still be kind, the water (surprisingly) is about as warm as it’s going to get, and the sunsets at this time of year can be magical. Surfwise, this is prime surfing season and there’s often a bit more swell to be had, as the Atlantic depressions start to cook up again. But the crowds are thinning out, and the lineup is certainly a lot less crowded. A shorty is still all that’s needed for a short session, but stay out a little longer in a full suit, and you can soak up the last rays of sunshine and deep orange sunsets to finish the day. It’s also a great time for relaxing in one of Croyde’s famous pubs in the village. The fires are lit, tables easier to come by, service a little less rushed, altogether the pace is much more mellow. For walkers, Baggy Point offers inspirational views, made all the more dramatic if the surfs up. It may be breezy, but the winter has yet to bite; so you can still pack light and don’t forget your binoculars for a bit of seal spotting at this time of year. On your return from the point, a hot chocolate up at Baggy’s café hits the spot. So, a few reasons why we love Croyde come Autumn. We will be escaping for a recharge soon, and hope you will too.